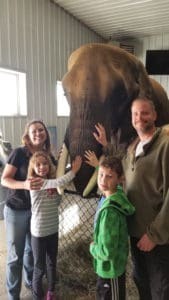 My family and I enjoyed a day at Wilstem Ranch near French Lick, Indiana. 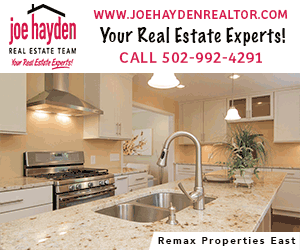 It’s a great place to check out for any age. 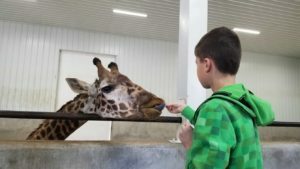 We decided to go for a day trip to see the giraffe and elephant encounters (it’s only an hour from the Louisville, KY/New Albany, IN border), and there is a lot to do there. For those who wish to say longer, there are cabins for overnight stays with multiple activities including horseshoe pits, volleyball, basketball, and a small outdoor pool. 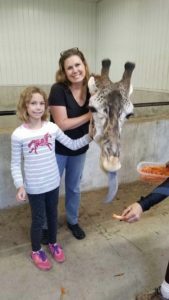 In a separate area there is an an elephant encounter, giraffe encounter, zip line, ATV side by sides (4 person) and horseback riding (1 hour trail or arena ride). During the fall, they have an area called “Fall Fun At Wilstem” (an extra $10 per person in 2017) which has a rock wall, pumpkin field, trampoline, bouncy, zip line, and petting zoo. Make reservations in advance for what activities you want to do – our encounters were totally full the week day we went. Summers are busier than other times a year, but check the website, because the elephants go to Florida four months a year, and you do not want to miss them. Check Groupon, but call before you buy – it may be cheaper to buy a combo ticket directly through Wilstem. (Also, the encounters are indoors, so you don’t have to worry about the weather for those activities. The other activities may be reliant on the weather). Upon arrival, check-in takes place in the office and a bus transports guests to each encounter. It is possible to walk to each encounter- nothing is too far, but it may be challenging for strollers and wheelchairs. There are plenty of animals to visit with if you arrive early, but don’t be late – they will start the program without you. The giraffes get a little more testy in the late afternoons, and aren’t as good for photos, but otherwise, the staff at both encounters made sure we got tons of great photos. Wistem Ranch is still expanding. They have had the elephants for 7 years, the giraffes were new this year, and they have other exotic animals like zebras and kangaroos which you can see but not have encounters with yet. There will be more and more exotic animals in the future (you may want to have dollars for your kids to put in the elephant pool donation box). Wilstem Ranch is a ton of fun, the caretakers seem to really know their stuff and love their animals. We’re looking forward to visiting again soon to try the other activities! Bonus tips: We stopped at Adrienne & Co. for a donut breakfast on the way to Wilstem Ranch, and enjoyed the German Cafe restaurant and shopping in French Lick after Wilstem. It makes for a perfect day!